Vestry meeting at 7:00 p.m. Opening Service of Diocesan Synod at 7:00 p.m.
Trinity Conference webcast in the John West Hall. Trinity Institute’s 42nd National Theological Conference, Radical Christian Life: Equipping Ourselves for Social Change, will be held December 7-9, 2012 via webcast conference at St. John’sAnglican Cathedral. Joan Chittister, OSB will offer tools for making the vital connection between contemplation and social action. She will be supported by workshop leaders including theologians, spiritual directors, and activists. Fr. Richard Rohr, OFM, author, teacher, and founder of the Center for Action and Contemplation, will preach at the conference Eucharist. Our task is now to be radical Christian communities in the here and now, not fossils of a bygone reality, not leftovers from an earlier golden age. Now we need new wisdom and a new kind of struggle to determine what we must be and do in the midst of these changing times. How can our Christian traditions of social justice and contemplation energize our communities as forces for positive change in the world around us? What practices help us to discern where we are called to engage? Where may we find sources of creativity and resilience within our tradition? How can we work in partnership with those of other faiths and no faith as we follow God’s call? Sacred Circles are deliberate gatherings of people intent on being with the Creator to forge community and find common direction. Indigenous experiences of colonization and Residential Schools has led to a need for healing and reconciliation. This Sacred Circle will bring together Indigenous and non-Indigenous people of all ages to create an atmosphere of home and health and healing. St. Peter, Dynevor Anglican Church has been home to two Sacred Circles. Mark MacDonald has served as the first National Indigenous Anglican Bishop since 2007. 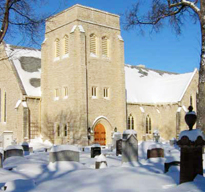 He was educated at Wycliffe College and traces some of his family heritage to Manitoba. Bishop Mark has travelled extensively across Canada, assisting Indigenous people in their journey of self-determination, healing and reconciliation. Married on Nov. 11, 1989, Mark and his wife, Virginia Sha Lynn, have three children. download the Sacred Circle brochure. Connecting with and supporting those in our churches who have someone on the ‘inside’ and encouraging those who visit people in remand or one of the correctional institutions. Registration 4:30pm, wrap up at 8:45pm. If you or a loved one is, or has been in prison, if you do prison ministry, or have an interest in visiting those inside Bishops Elaine Sauer and Don Phillips welcome you to participate in this free event. Thank you to Nancy Phillips for presenting the first session from the Growing Towards God series entitled “Intro to Spirituality”. As Christians we need both an intellectual and spiritual connection to our God. Through reading the scripture and listening to religious teachings, we engage our faith, but how does our spirit engage with God? With everything that hinders spiritual growth; among them being the daily distractions of modern life, it is hard to maintain a spiritual connection to God. By teaching us about the importance of our spiritual selves, the foundations of Christian Spirituality and training us to use various tools for prayer and meditation, Nancy is helping us reconnect with God on this deeper level. We look forward to the next session, Tools for Listening to God on November 8th when we will learn even more. Registration deadline for Faith Horizons 2011 Xpressions: Transformative Power of the Arts this October 14 and 15 has been extended to this week. Follow the link to register. To help survivors of the residential schools, Rupert’s Land Wechetowin Inc. encouraged the creation of a two-year diploma program “Indigenous Spirituality and Pastoral Care”, at the University of Winnipeg that will train students to offer pastoral and spiritual care in jails, hospitals, long term care residences and missions. The first students are being accepted this year, many with bursary support. To help residential school survivors, Wechetowin encouraged the creation of a two-year diploma program “Indigenous Spirituality and Pastoral Care” at the University of Winnipeg. All of the programs designed by Wechetowin are intended to address healing, wellness and reconciliation. Wechetowin board members are also preparing their second annual Walking With Wechetowin walk-athon. Wechetowin is a Cree word for “People Helping People” as it is a grassroots organization started by individuals reaching out to those in need. Formed in 2006 by the Rupert’s Land Aboriginal Circle, Wechetowin offers more than pastoral care for Aboriginal people. All of the programs designed by Wechetowin are intended to address healing, wellness and reconciliation. This is done holistically from restorative justice education to ‘people helping people’ directly visiting hospitals and institutions giving others hope. Calling all Volunteers and Supporters! A fun morning of exercise and reflection on the progress of Healing & Reconciliation efforts in Winnipeg, thanks to the support of volunteers and people like you! The 10km walk begins at St. Mary Magdalene walking north to St. John’s Park. Barbecue 12 noon – 2 p.m.
see the poster for contact information.